For the Valentine card, I did write down the Copic markers I used. I used some paper and some white and red crystal hearts that I had on hand. The smaller heart die is from Stamp In Up, and the larger die is from Spellbinders. I have to compliment you on your marvellous colouring!! I still haven't got the nac of those beautiful pleats. Beautiful cards Nancee. your colouring is lovely. Nice job. They are all pretty but I'm partial to the one done in green. 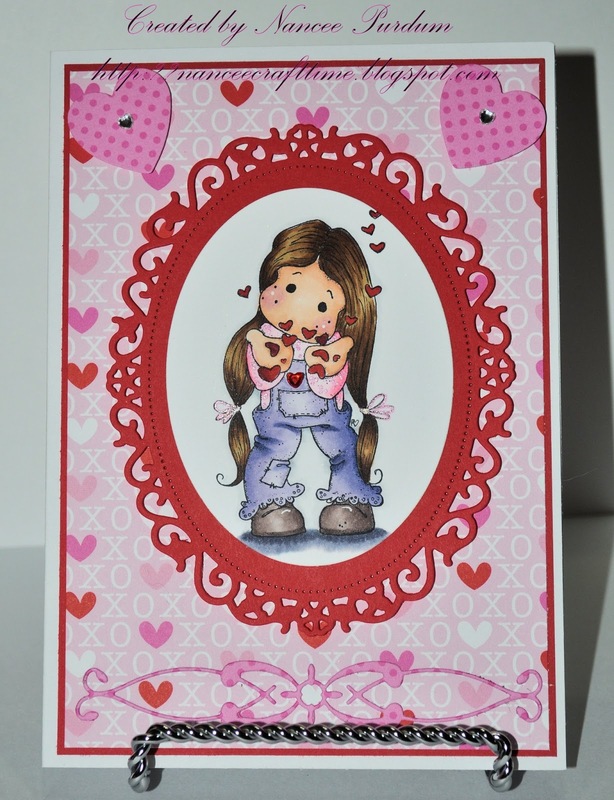 Lovely cards and fabulous coloring, Nancee. Great job. These are all super cute. wow… your coloring so Fabulous!! 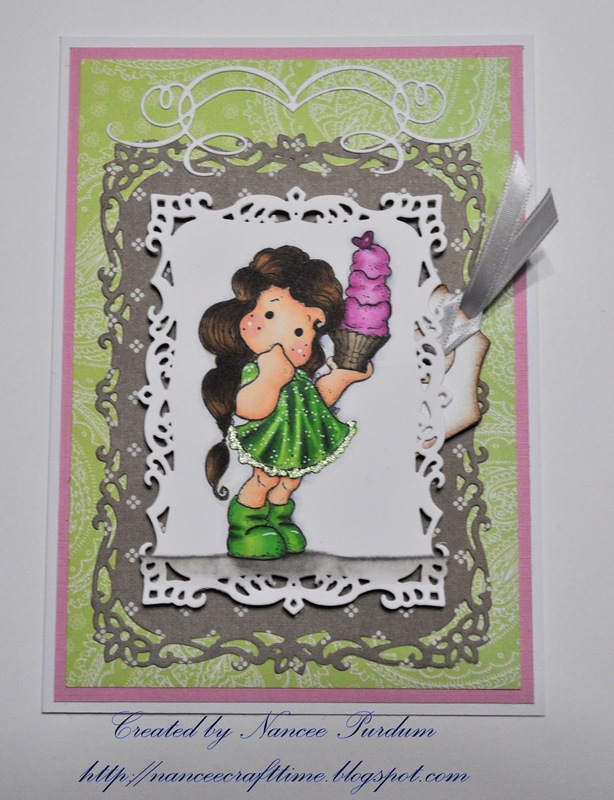 You have been a busy girl Nancee, these are so gorgeous, love you colouring of these sweet Tilda's. Oh I love your coloring! Those cards turned out great! All three of these are so lovely and your coloring of those Tildas is to die for! 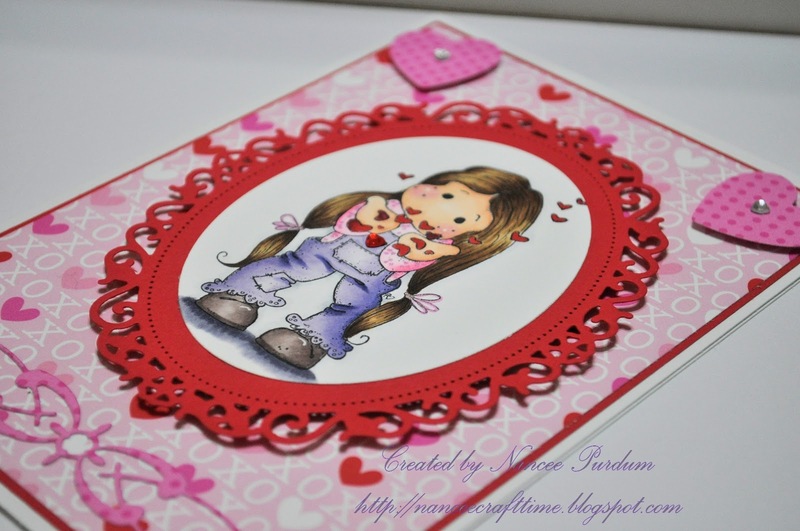 Wonderful cards and the designs are fabulous also is your coloring.